LINDA SWINDLING is a workplace communication expert. She began negotiating work drama first as a successful attorney and mediator and later as a keynote speaker, executive coach, and strategic consultant. A Certified Speaking Professional (CSP) and president of Journey On, she is the author of the popular Passports to Success series, which offers thirteen titles on workplace and communication issues. 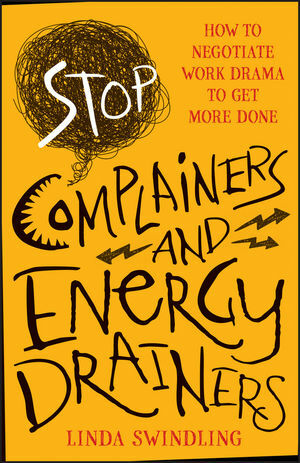 Visit her at www.StopComplainers.com.